This stock surround comes with a hearth and inner panels. The Tudor is an English style mantel. 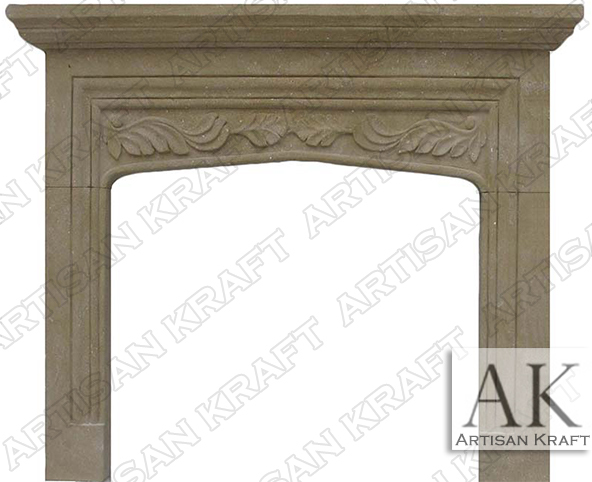 The Traditional Tudor Fireplace is hand carved from Beige Sandstone that give is a rustic look. The peaked opening and simple leaf carvings keep it simple but unique. This is a great choice for a prefabricated firebox or a mason style one. Many other Tudors are available with more or less details.